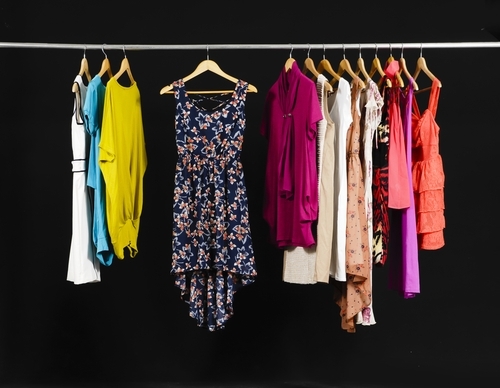 Store owners are responsible for keeping up with changes in retail merchandising trends. They look to the experts for help. When our merchandising team visited GlobalShop 2018 earlier this year, they brought home a wealth of information to share with you. The Scandinavian look, which became popular in the 1950’s and focuses on simplicity and functionality, has come back in style. Its main traits are light woods and minimalist designs. Colors have muted tones such as white, cream, grey, black, pale blue, pale pink, and moss green. Warehouse Vintage still dominates the retail scene. Recycled wood, industrial pipe, and raw metal continue to be favorites in retail displays, but the style has taken on a more refined look. Instead of rough wood, a smoother finish is preferred. Brass, copper, and rose gold are popular finishes this year. 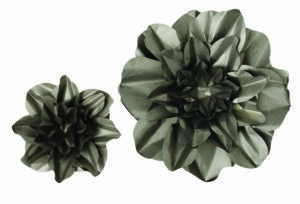 Create inspiration by using these decorative finishes in your visual merchandising. 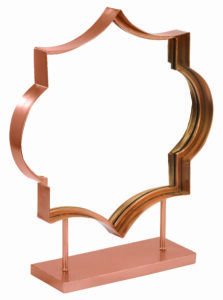 A variety of products can be found in these finishes, including jewelry displays, easels, bowls, pedestals, and baskets. Marble and stone are sophisticated choices for upscale retail shops. No need to use the actual rock. Just the natural look of stone or marble can easily be incorporated in table and riser tops. Redesigning your entire retail space isn’t always possible. However, small touches with props and décor pieces can make a huge difference. 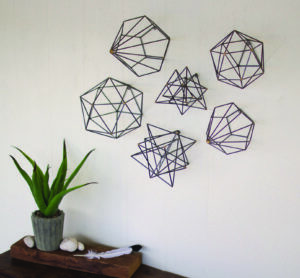 Bent wire and geometric design is another retail trend popping up in retail fixtures and décor pieces. A variety of new decorative items using bent wire are adding flare to the retail environment.